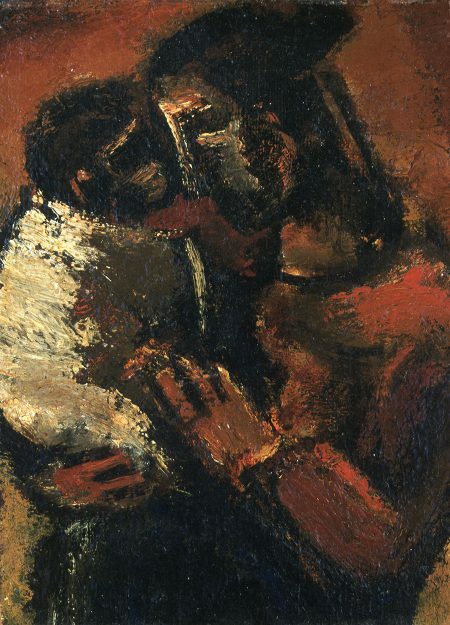 Josef Herman (1911 – 2000), Mother and Child, 1968, oil on canvas, 49 x 39 cm, acquired 1996. 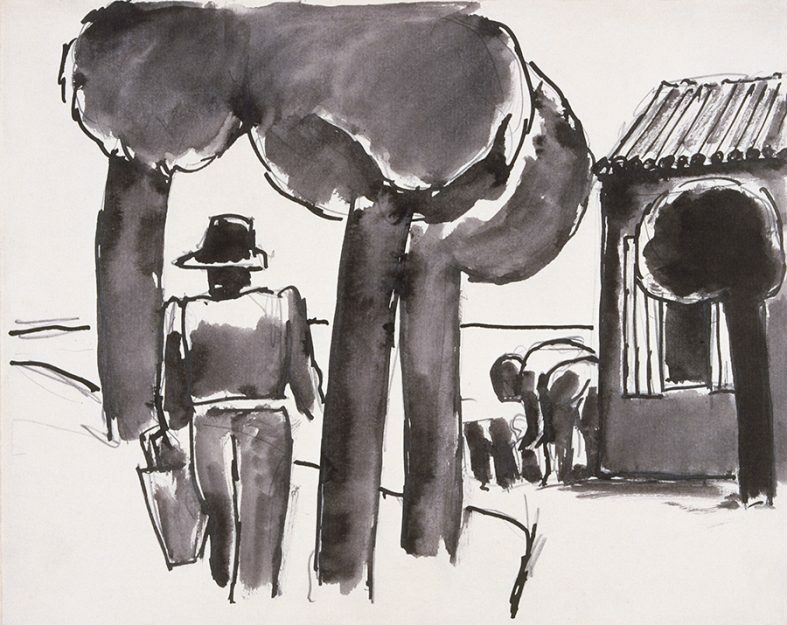 © The Estate of Josef Herman. 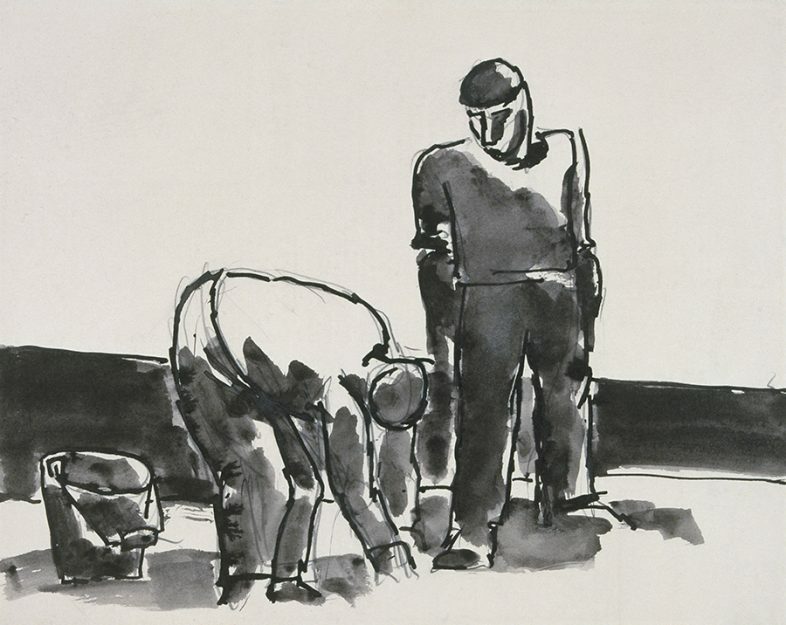 Josef Herman (1911 – 2000), Figures with Tractor, c.1967, pencil, Indian ink & wash on paper, 20 x 25.5 cm, acquired c. 1967. 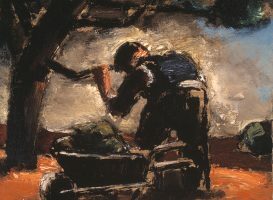 © The Estate of Josef Herman. 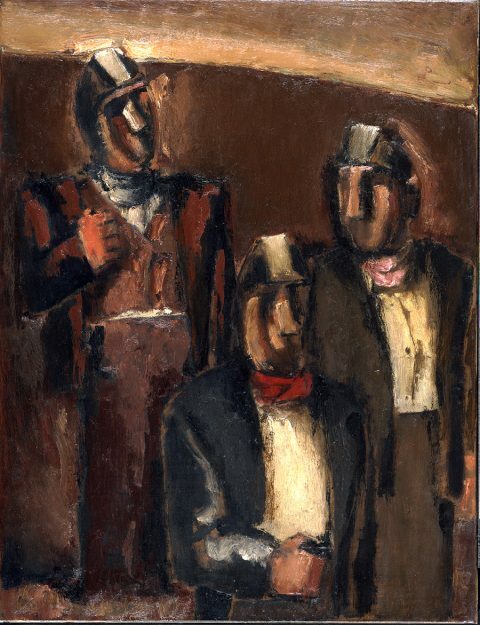 Josef Herman (1911 – 2000), Three Welsh Miners, c.1966, oil on canvas, 66 x 51cm, acquired 1969. © The Estate of Josef Herman. 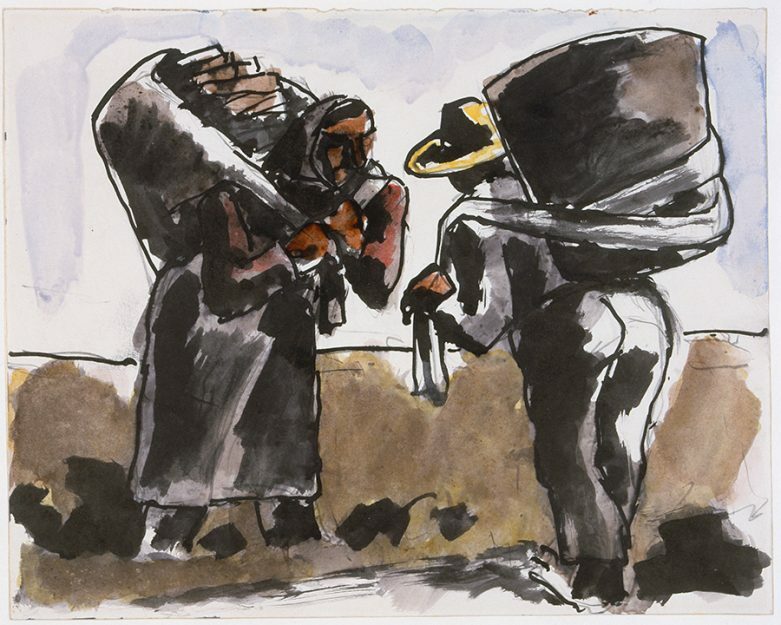 Josef Herman (1911 – 2000), Mexican Peasants with baskets, 1966, pencil, watercolour & indian ink on paper, 20.5 x 25.5 cm, acquired 1965–67. 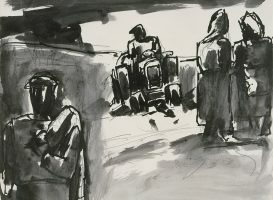 © The Estate of Josef Herman. 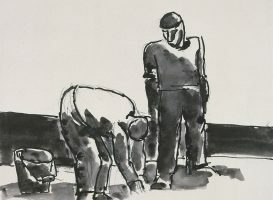 Josef Herman (1911 – 2000), Two men near Trees and a Hut, 1965, pencil, Indian ink & wash on paper, 20.5 x 25.5 cm, acquired 1965–67. 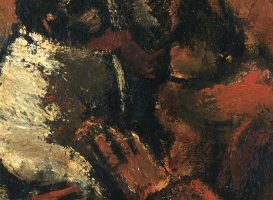 © The Estate of Josef Herman. 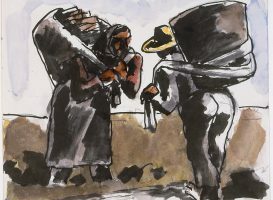 Josef Herman (1911 – 2000), Two figures with bucket, 1965, pencil, Indian ink & wash on paper, 20.5 x 25.5 cm, acquired 1965–67. 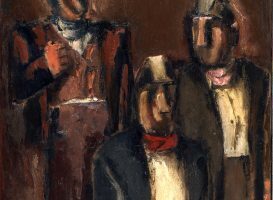 © The Estate of Josef Herman. 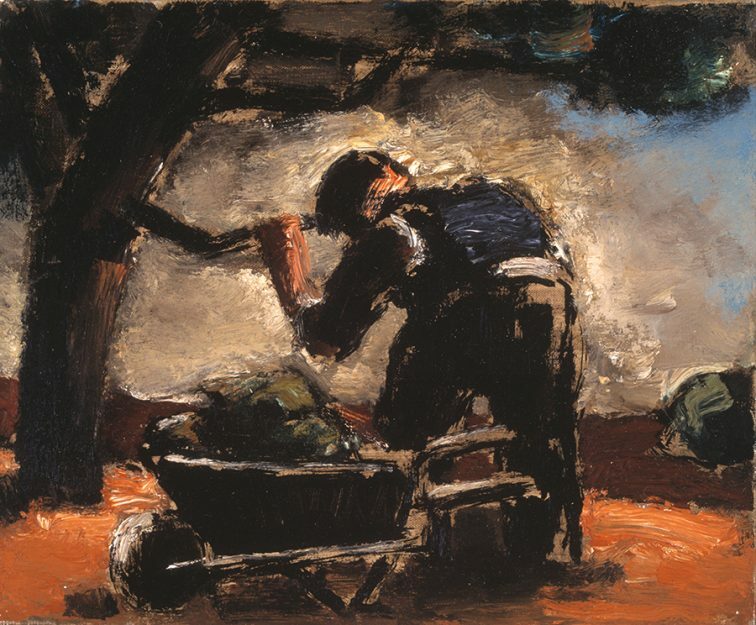 Josef Herman (1911 – 2000), The Gardener, 1963, oil on canvas, 25.4 x 30.5cm, acquired 1969. 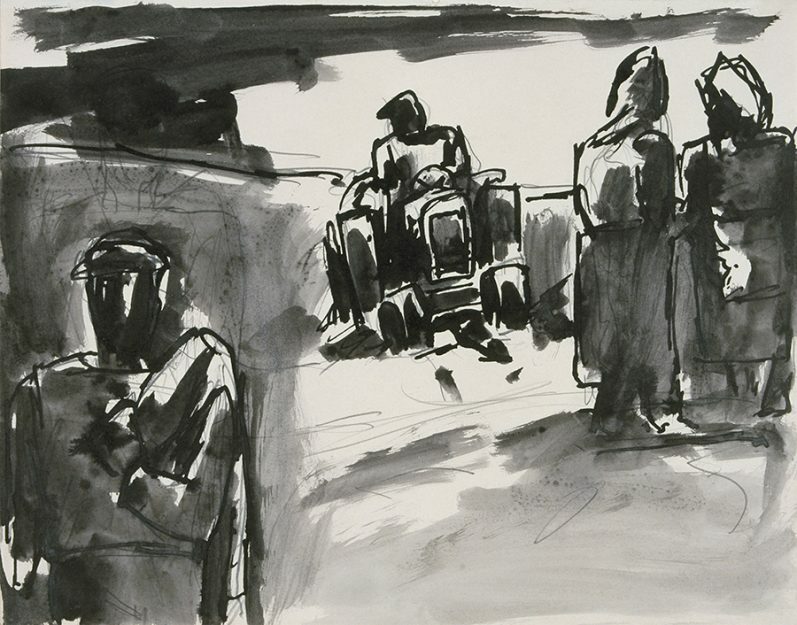 © The Estate of Josef Herman.